There is a point where ambition may turn to recklessness and recklessness turn to sheer stupidity. It is bad enough in the general aviation (GA) sector where naivety from a trainee might overtake common sense, but in the mass transport airline sector with a supposedly highly trained crew, it defies belief. And it is a recipe for disaster when, as the crew of an Aeromexico Connect aircraft found in July 2018, severe weather conditions conspire with moments of madness on the flight deck. 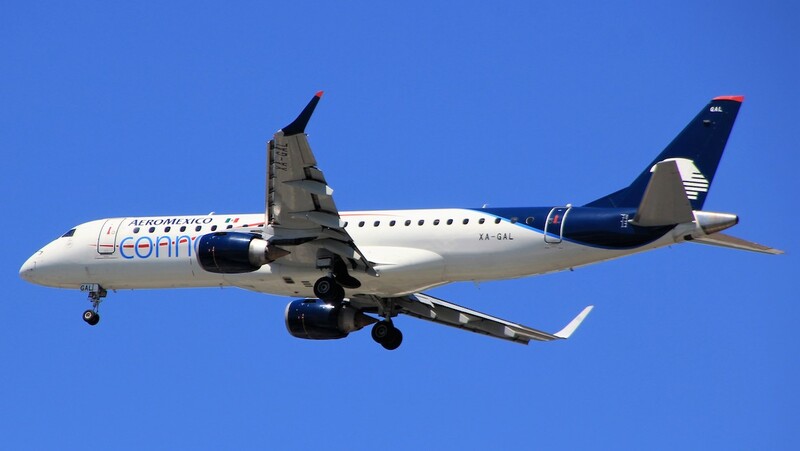 Put simply, an investigation into the crash of Flight 2431 has found that an unqualified pilot was sitting in the first officer’s seat of the Embraer E190, and flying the aircraft, seconds before it crashed on takeoff from the central Mexican city of Durango. Fortunately, all 103 people – 99 passengers and four crew – on board survived the crash, although the aircraft was destroyed. According to a report in FlightGlobal, the Mexican Government air accident investigation into the accident found that a crew member travelling in the cabin had been allowed on to the flight deck and took the place of the first officer before the departure. The report says the crew member had ambitions to be an E-Jet first officer and while he held turboprop multi-engine licence had only recently started E-Jet theoretical training including 64 hours in a simulator – below the target required before route training. And while he had more than 3,000 hours up on other aircraft, he had zero flight experience on E-Jets. The report said that not only was the crew member not authorised to operate the aircraft, the captain was effectively acting as his instructor – a task for which he was also unqualified. The actual first officer sat in the observer’s seat in the cockpit. As the aircraft accelerated to takeoff it ran into weather conditions indicative of windshear. The crew member rotated the aircraft at 148kt, according to his instruments, and 152kt according to the captain’s, pitching the jet nose-up at just over 10 degrees. A “gear up” command was recorded with the aircraft just over two feet above the runway which, the report says, “contradicts” standard operating procedures in windshear which require the undercarriage and flap configuration to remain unchanged until reaching 1,500ft. The Captain took over but failed to regain control of the aircraft which struck the runway. Both engines broke away as the E190 slid along the ground coming to a halt 400 metres beyond the runway threshold. Investigators stated that the unauthorised crew member was “performing the functions of the flying pilot” up to a point eight seconds before impact. The probe concluded that a combination of windshear and allowing an unqualified pilot to take the controls contributed to the accident. OOPS a big oops too. Miraculously every one survived that one, guess those three pilots will be looking for new jobs, maybe flying night time cartel merchandise from unmarked gravel strips !